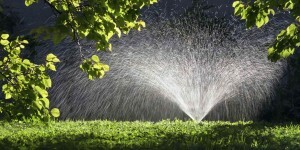 Don’t neglect to water your lawn this fall. Now that Halloween is beyond us, one can expect temperatures to continue to drop as the seasons change. As a Northerner, you might be wondering whether you should stop watering the lawn. But not so fast! Although your lawn may not need as much water in the autumn as it would during the spring or summer seasons, neglecting to water it completely is a bad idea. Although you might be expecting snow this coming winter, that doesn’t mean you shouldn’t continue to water your lawn during the fall–even in late autumn. Regardless of whether or not you anticipate snowfall, do not stop watering your lawn until the ground freezes. Northern winters create desert like conditions as water gets locked up in the form of ice. When the ground freezes, your lawn’s roots are deprived of water — no matter how much snow falls on top of the soil. Another reason you should resist the temptation to stop watering your lawn in early fall is that cool-season grasses have a period of strong growth for your lawn during this time. 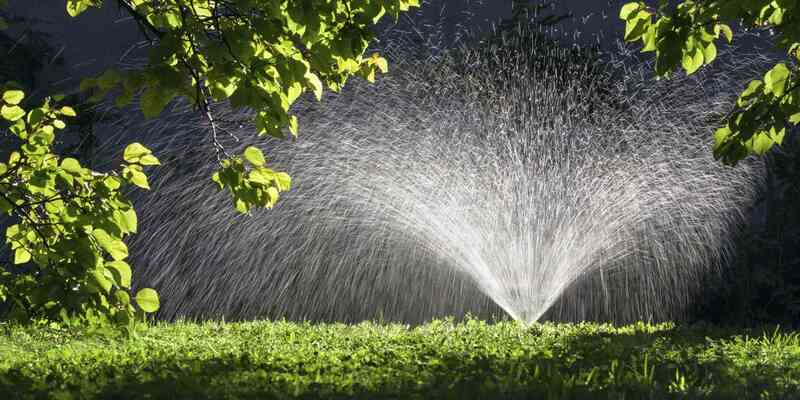 It’s important not to deprive your grass of proper irrigation during this critical growing period. Grass roots need an adequate supply of water in order for proper nutrient uptake, and if your lawn isn’t absorbing nutrients sufficiently, it will not grow and achieve optimal health. Lawn care is a delicate balance, and you don’t want to overwater your green either. If your area is already receiving sufficient rainfall by late fall, you may only need to water new lawns that have just started or lawn areas that have been recently overseeded. Still, warm, dry spells are common occurrences during the autumn months, so make sure you are still keeping an eye out for when your lawn needs to be watered. This entry was posted on Thursday, November 3rd, 2016	at 11:40 am	. You can follow any responses to this entry through the RSS 2.0	feed. Both comments and pings are currently closed.